Blue Velvet Pink Toe - Avicularia sp. 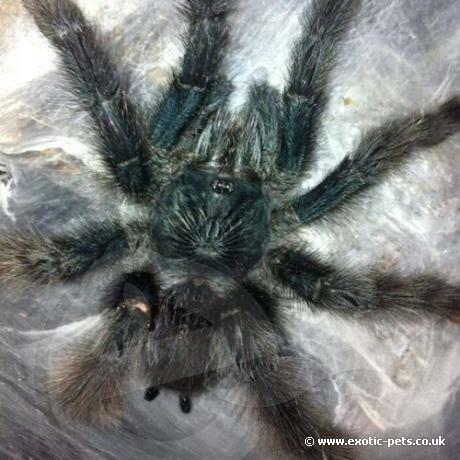 "Blue Velvet"
A pink toe species from Brazil believed to be from the Avicularia avicularia complex. These have a deep blue overall colouration with red setae hair on the abdomen.